Nineteen sixty-eight was a presidential election year in the United States. It was also one of the saddest and most difficult years in modern American history. The nation was divided by often violent disputes about civil rights and the war in Vietnam. 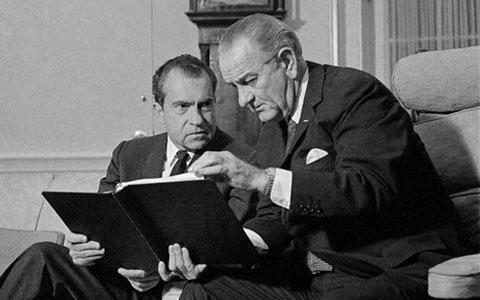 President Lyndon Johnson had helped win major civil rights legislation. Yet he had also greatly expanded American involvement in the war in Vietnam. By early nineteen sixty-eight, it was almost impossible for him to leave the White House without facing anti-war protesters. Johnson wanted to seek another four-year term as president. But his popularity kept dropping as the war continued. He understood that he no longer had the support of a majority of the people. In March, he announced that he would not be a candidate. PRESIDENT LYNDON JOHNSON: "I shall not seek, and I will not accept the nomination of my party for another term as your President." One reason Johnson decided not to seek re-election was a senator from Minnesota: Eugene McCarthy. SENATOR EUGENE MCCARTHY: "I intend to enter the Democratic primaries in four states: Wisconsin, Oregon, California, and Nebraska. The decision with reference to Massachusetts and also New Hampshire will be made within the next two or three weeks." McCarthy competed against Johnson in several primary elections. Primaries are held before the political parties hold their presidential nominating conventions. Thousands of college students helped the McCarthy campaign in New Hampshire, the state that traditionally holds the nation's first primary. They told voters that their candidate would try to end the war. SENATOR EUGENE MCCARTHY: "My decision to challenge the President's position and the administration's position has been strengthened by recent announcements out of the administration. The evident intention to escalate and to intensify the war in Vietnam, and on the other hand, the absence of any positive indication or suggestion for a compromise or for a negotiated political settlement." Johnson won the New Hampshire primary, but McCarthy received almost forty-two percent of the vote. After McCarthy's success, Senator Robert Kennedy of New York decided to enter the campaign. He was a brother of President John Kennedy, who had been murdered in nineteen sixty-three. Robert Kennedy had served in his brother's administration as attorney general, the nation's highest law enforcement officer. Many people were pleased when Robert Kennedy announced his decision. They liked his message. He said: "I run to seek new policies -- policies to end the bloodshed in Vietnam and in our cities, policies to close the gaps that now exist between black and white, between rich and poor, between young and old, in this country and around the rest of the world." On April fourth, nineteen sixty-eight, civil rights leader Martin Luther King Junior was shot to death in Memphis, Tennessee. 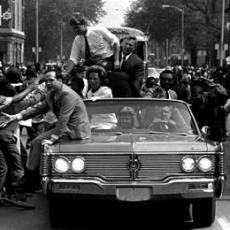 Robert Kennedy informed a largely black audience in Indianapolis, Indiana, of King's death and appealed for calm. No words, however, could calm the anger in many black communities. Martin Luther King had peacefully led the civil rights movement. His assassination led to violence in more than one hundred cities across America. Hundreds of people were killed or injured. National Guard troops were used to help police end the riots. After the riots, another candidate decided to join the campaign for the Democratic presidential nomination. The new candidate was Vice President Hubert Humphrey. The primary season continued. Eugene McCarthy and Robert Kennedy tried to show voters how different they were. Many voters, however, saw little difference between their positions on major issues. Both men opposed the war in Vietnam. Both supported social reforms and civil rights. Kennedy defeated McCarthy in the primaries in Indiana and Nebraska. McCarthy defeated Kennedy in Oregon. The next big primary was in California. Kennedy said he would withdraw from the campaign if he did not win the primary in that important state. Robert Kennedy won the California primary. He might have gone on to win his party's nomination for president. And perhaps he might have even won the presidency, just like his brother John. But Americans would never know. MUTUAL REPORTER ANDREW WEST [Reporting Live]: "Senator Kennedy has been shot. Is that possible? Senator Kennedy has been shot, possibly shot in the head. [Crowd commotion] I am right here, and Rafer Johnson has a hold of a man who apparently has fired the shot. He still has the gun. The gun is pointed at me..."
Robert Kennedy was shot at the Los Angeles hotel where he had just given his victory speech after the California primary. He died a few hours later. The man who shot him worked at the hotel. Sirhan Sirhan was a Palestinian refugee. He said he blamed Robert Kennedy for the problems of the Palestinians. America's two major political parties held their nominating conventions in the summer of nineteen sixty-eight. The Republicans met first. They gathered in Miami Beach, Florida. And it was soon clear which candidate had the most support. Richard Nixon had been the Republican nominee in nineteen sixty. He lost to John Kennedy. Eight years later, Nixon was a strong candidate to win the nomination again. The other candidates were Ronald Reagan, the governor of California, and Nelson Rockefeller, the governor of New York. On the first ballot, Nixon received more than twice as many votes as Rockefeller. Reagan was far behind. 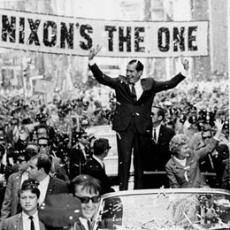 Most of the delegates then gave their support to Nixon, and he accepted the nomination. Spiro Agnew, the governor of Maryland, became the nominee for vice president. The Democratic convention was very different from the Republican one. The Democrats were the party in power. 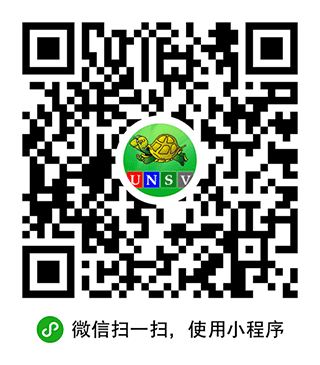 Protests against the war in Vietnam were aimed at them. SOUND: Chicago crowds chanting "Peace Now"
Thousands of anti-war protesters gathered in Chicago where the Democratic convention took place. The city's mayor, Richard Daley, ordered the police to deal with them severely. Many of the young protesters were beaten. The Federal Government later ordered an investigation. The report said the riots in Chicago were a result of the actions of the police themselves. Inside the convention building, the delegates voted for their nominee. They did not choose the candidate who had done so well in the early primaries, Eugene McCarthy. Instead, they chose the more traditional candidate, Hubert Humphrey. VICE PRESIDENT HUBERT HUMPHREY: "Surely, we have now learned the lesson that violence breeds counter-violence, and it cannot be condoned, whatever the source." The vice presidential candidate was Edmund Muskie, a senator from Maine. In the general election campaign, Nixon and Humphrey both supported American involvement in Vietnam. But both of them also talked about finding ways to end the conflict. And they talked about finding ways to end the social unrest in the United States. Many voters saw little difference between the two candidates. A third candidate in the race was the governor of Alabama, George Wallace. As governor, Wallace opposed federal efforts to end racial separation in the South. He attempted to block the court-ordered registration of two black students at the University of Alabama in nineteen sixty-three. At that time, the university accepted only white students. The two were later admitted under federal protection. Wallace campaigned as the candidate of the American Independent Party. He denounced the federal courts as well as communism and what he called the "eastern establishment" in the United States. Many conservative, working-class Americans agreed with him and supported his campaign. About six weeks before Election Day, public opinion surveys showed that Nixon and Humphrey were very close. Nixon's major problem was his past. He had made enemies during his early political life. Humphrey's major problem was his current job as vice president to an increasingly unpopular president. About a month before the election, Humphrey said the United States would halt bombing in North Vietnam. But President Johnson did not give the order until four days before the election. Humphrey later said the delay had damaged his campaign beyond repair. On Election Day, Richard Nixon won, but not by much in the popular vote. George Wallace won five states and finished a distant third. Nixon would become president. It was a job he had wanted for a long time. RICHARD NIXON: "I saw many signs in this campaign; some of them were not friendly, some were very friendly. But the one that touched me the most was one that I saw in Deshler, Ohio, at the end of a long day of whistle-stopping. A teenager held up a sign, 'Bring us together'. And that will be the great objective of this administration at the outset, to bring the American people together." And it was a presidency that would change America and the world for years to come. The Nixon presidency will be our story next week.